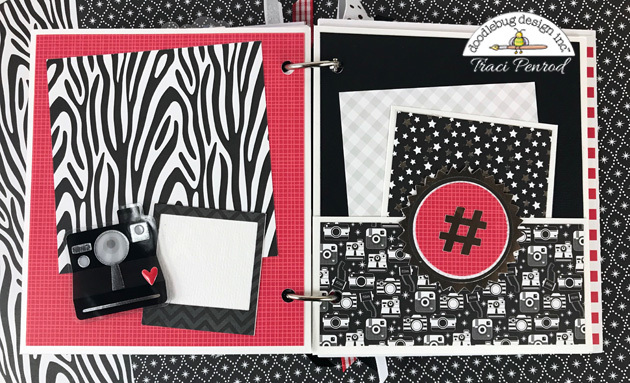 Hi everyone ... it's Traci and I'm back to share my project for the Mix-It up challenge. The design team was asked to mix up a few collections for this week's challenge. 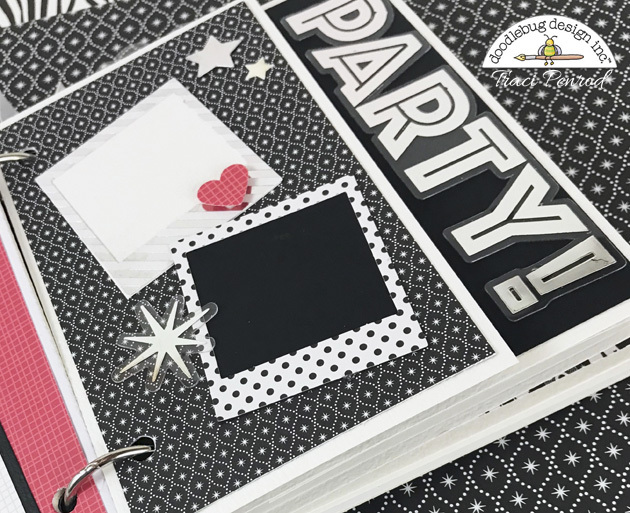 I used some papers from three different collections -- Hats Off, Gingham/Linen Prints and .... ??? Can you find the paper that doesn't go with the first two? Do you remember which collection it's from?? I'll tell you the mystery paper in a minute ... but first you'll notice that I used Hats Off, a graduation line for a Happy New Year theme. 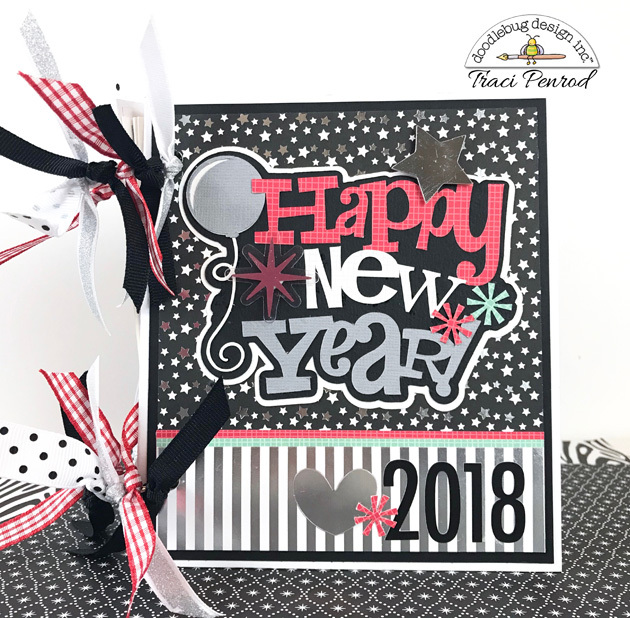 It worked perfectly since black, white, and silver are great colors for ringing in 2018! 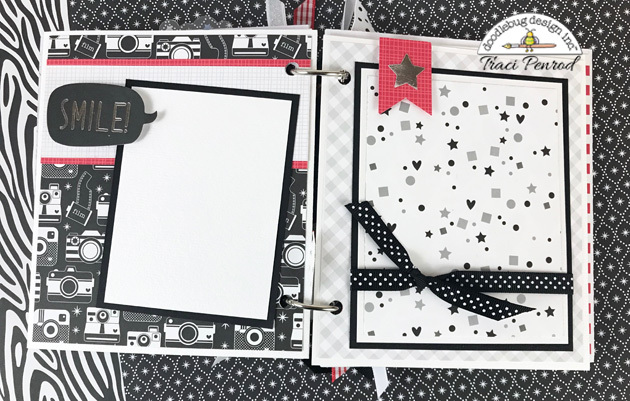 Many of the embellishments in Hats Off also worked for my mini album ... especially the PARTY acetate, stars, and the adorable little cameras! 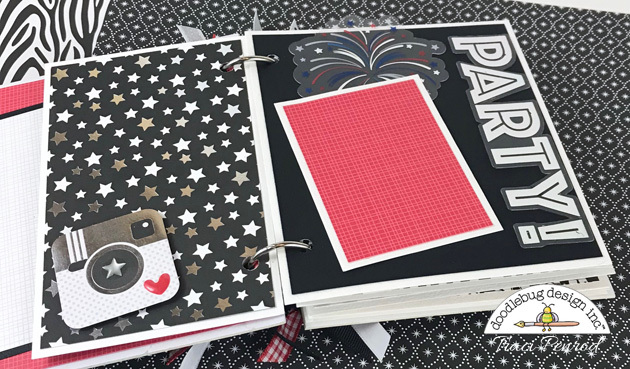 I even added in a firework embellishment from the Yankee Doodle collection! Have you discovered the mystery paper yet? You will find it in the photo above and in the one pictured below! If you guessed the animal print from the At The Zoo collection, you are correct!! This was such a fun way to mix prints and embellishments. 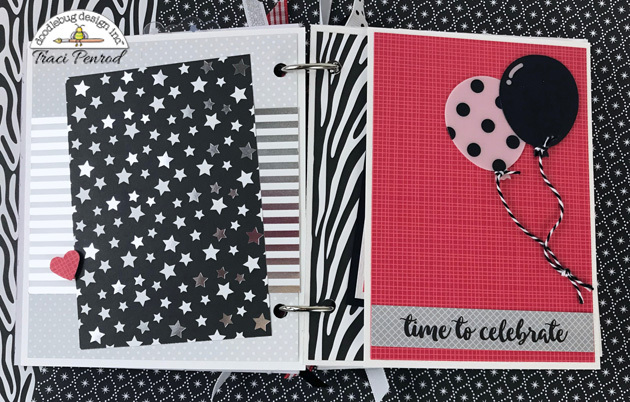 We'd love to hear how you've mixed Doodlebug collections together in your projects!